As presented on the Burning Pub January 12, the first Dutch Art Jump Gathering & Fundraiser will be held on April 1. during The Equinox, at Blijburg aan Zee (Amsterdam). 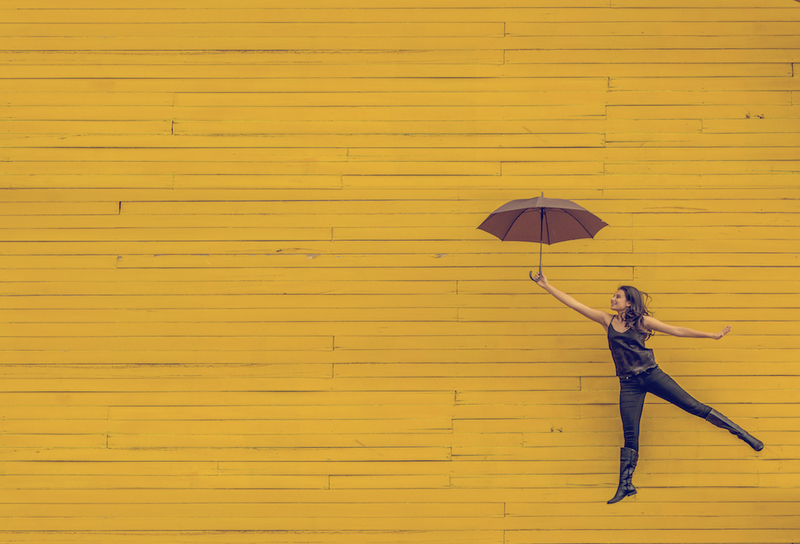 The Burning Man NL Arts program supports the community in a broader perspective regarding Arts, but for this first Art Jump we focus on the Exchange of Burning Man inspired Art with other EU Burn-inspired events and orgs. The evening is a fundraiser and a gathering that consists of wining and dining, Art & Performances, and a silent online auction to enable international artists and bidders to join. Items can be donated for the auction, think of art pieces or other interesting items. And (if possible) showcase it at the gathering as well, or join virtually. All the funding we raise with this auction and gathering, will go to art grants. For now we focus on existing Art projects, that will get the chance to travel to 3 other Burn-inspired events in the EU. In the future we will fund new art projects as well. The biggest part of the community that was present at the Pub, agreed on the idea of having an Art Jump. Some even immediately promised to donate art of participate in another way, which is great! Do we collaborate with events that already have/offer Art Grants (like Nowhere in Spain)? > Yes, The european counterparts will be contacted to talk about the idea in general and invite them to join the iniative. Can artists choose to what events they would like to take their art to? > Yes, artists can choose themselves. What kind of art fits into this program? 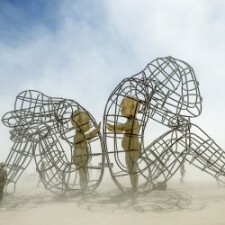 > It’s for Burn–inspired Art projects only, that comply to the Burning Man Ethos and the ten principles. Is NL the first country to do this? > Manon knows another project, called We are from Dust. Is the membership fee (10 euro per year) also used for Art? > That’s work in progress, it’s not settled yet. What’s the price for a ticket? > Around 100 euros per person. That sounds high, but know that all basic costs like hardware (lights, DJ booth, sound etc.) and manhours need to be paid by only around 80 people. There’s no more room for more people at Blijburg, so all costs need to be divided between those 80.Where costs can be saved, they will be and the additional budget can go towards the grants! Who can afford those tickets…? Maybe change it into a real Art Gala (fundraiser) aiming for the high end market (companies, rich & famous, etc.)? > The opinions were diverse, but in the end most of the people agreed that it is better to start this first year a bit more low profile, to see how it works out, test things out, be a bit careful. Also because of the limited time we have left until April 1. The aim for 2017 is to make it as accessible as possible. With an aim for a more high end target audience in 2018 and beyond. Who has or knows items and art to donate for the auction? Who wants to participate and make this event happen in any kind of way? Preparation , performances…. ? Who has ideas/contacts to cooperate with other Burn inspired events? Who has other ideas to raise funds and/or keeping the costs as low as possible so we hope to have ticketmoney left for the Art fund? Who knows companies that might want to support/join in make this fundraiser happen, and (financially) successful? In other words: who would want to buy tickets and bid at the auction, to support Burn inspired Art? We reach out to you. 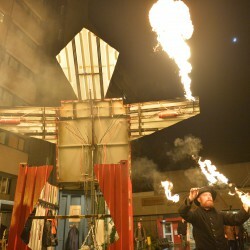 Lovely Burners & Virgin Burners, the 11th of Feb we have our Monthly Burning Pub again. And by then news around tickets sales will be know (we hope). …how exciting! For some it will be the first time to get ready for the playa and some dust. Curious about how to get things organized, questions about camps, the ten principles (what is gifting for example?) 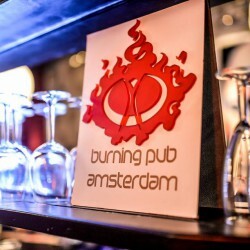 and all other things, wanting to meet the Dutch Burner community, hear their stories and feel some Burning vibe…..well then its time to come to our burning Pub! After the great Decompression its time for our monthly Burning Pub. Drop by for hugs, stories and hot chocolate. See you there! This is an Official Burning Man – Dutch Decompression event – in Amsterdam. We start at 15.00!!! so be on time, we have a great program!!!! The OFFICIAL Netherlands Burning Man Decompression Party will take place on November 21st at Radion / Broedplaats Acta in Amsterdam. Now is the time to show the world of Burners and other beautiful souls how decompression is done around here! Read more about the day time and night time programme below. Entrance to the day time event is free to everyone! It is divided between the “Concrete Playa” (outdoor) and Radion (indoor) and runs from 15.00 to 22.00. In accordance with true playa spirit BYO food and drinks are allowed outside until 22:00, whilst the bar and restaurant will still be open inside the club. Come have a look at many art installations, bands, DJs, workshops and a Dutch interpretation of the MAN that will populate the Concrete Playa! There will be tents and fire to keep you warm. The day time event is family friendly. The night time event is inside Radion only, which has limited capacity and requires an entrance ticket (see link above). Local and regional DJ’s will host two awesome musical areas. In addition there will be a Center Camp-like space featuring crazy art installations, acoustic music, workshops and education activities. Radion is an exciting newly opened venue with an industrial vibe. Dutch Decompression is created 100% by volunteers. Keep in mind that the ticket sale is intended to cover all expenses on art and other activities during the day time AND night time of the event. 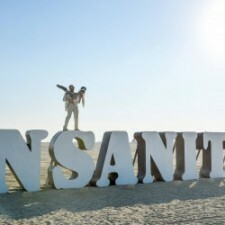 Any potential surplus ticket sales will be used for a future summer time event or to bring local art projects to Burning Man. Thanks very much in advance for your generosity which enables us to pull this event off !